The 2017 return of Essex–which had been last held in 1998– was very well-received, filling the Beginner Novice through Preliminary divisions. Those divisions will continue to be a part of the event, giving horses and riders a place to start out and move up, even as organizers answer the request of top competitors for an Advanced division. 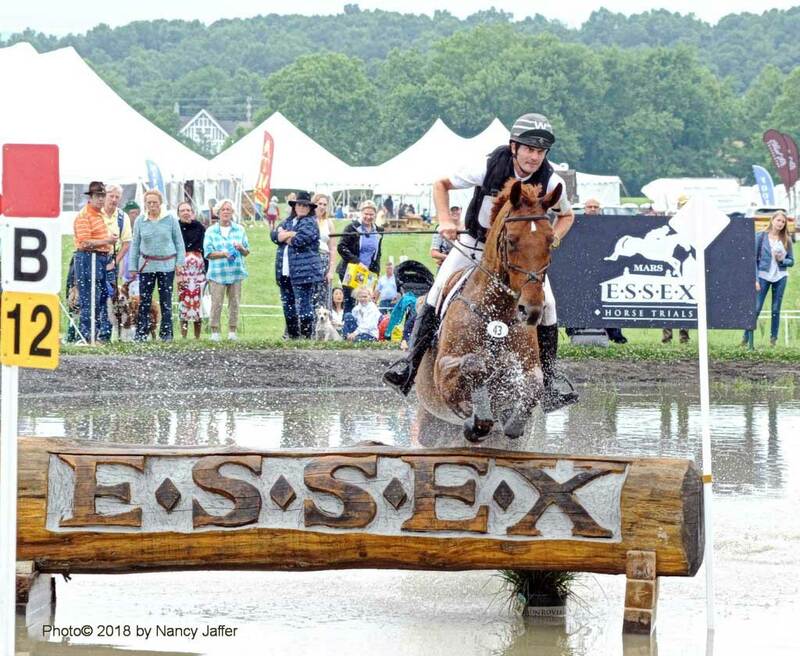 For three decades, the Essex Horse Trials was a “must” destination for an impressive list of U.S. and international riders. It also drew thousands of spectators. When last held in 1998, the event was run at Hamilton Farm in Gladstone, home of the U.S. Equestrian Team. That was just a few miles from where the event began in 1968 at the Haller family’s Hoopstick Farm on Lamington Road in Bedminster. When Essex outgrew that property, it moved to the more spacious site offered by the USET. Moorland Farm, the third venue where Essex has been held, is located on 230 acres. It is also the home of the Far Hills Race Meeting, where prestigious steeplechase races are held each October. Originally developed as a cavalry test, eventing combines the precision of dressage with the challenge of going cross-country at speed, finishing with show jumping in an arena. It demonstrates the teamwork between horse and rider, often developed over years of fitness work and training. In addition to the competition, the Mars Essex Horse Trials has plenty of other attractions for the family, including a classic car show and a farm stand offering fresh farm-to-table food from local markets. Shopping opportunities include equestrian-related items, jewelry and artwork. The Children’s Activity Center, sponsored by The Willow School, offers younger spectators and their parents a fun and creative way to spend the day. Mars, Inc., the original sponsor of the Essex Horse Trials, returned in 2017 and continues as the event’s title sponsor. Presenting sponsors include Open Road Auto Group, Peapack-Gladstone Bank, RWJ Barnabas Health, Running ‘S’ Equine Veterinary Services and AIG. Proceeds from the event benefit the Greater Newark LifeCamp in nearby Pottersville, which provides an enriching day camp experience for approximately 300 Newark-area youths per day for six weeks during July and August. For more information about Essex, go to www.essexhorsetrials.org.